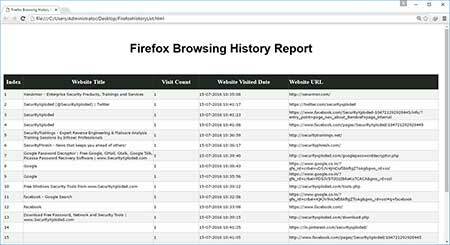 Firefox History Spy is the free software to help you easily view or delete browsing history of Firefox. On launch, it automatically detects the default Firefox history file for current user. You can also manually choose the different history file either from local or remote computer. Finally you can generate detailed history report in HTML/XML/TEXT/CSV file format. It will also allow you to remove any selected entry or all the website data from the history file with just a click of button. Firefox History Spy is fully portable and works on both 32-bit & 64-bit platforms starting from Windows XP to new Windows 10 version. Firefox History Spy comes with Installer to make it easier to install it locally on your system for regular usage. This installer has intuitive wizard which guides you through series of steps in completion of installation. 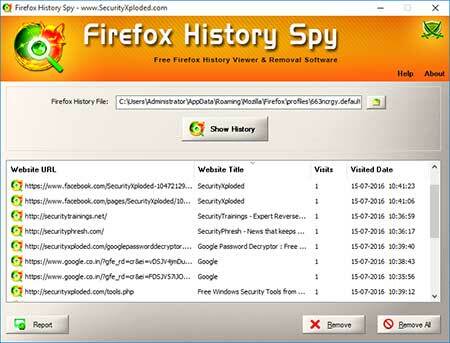 Firefox History Spy is easy to use tool with cool GUI interface. You can also click on 'Remove All' button to delete all the website data from History file. 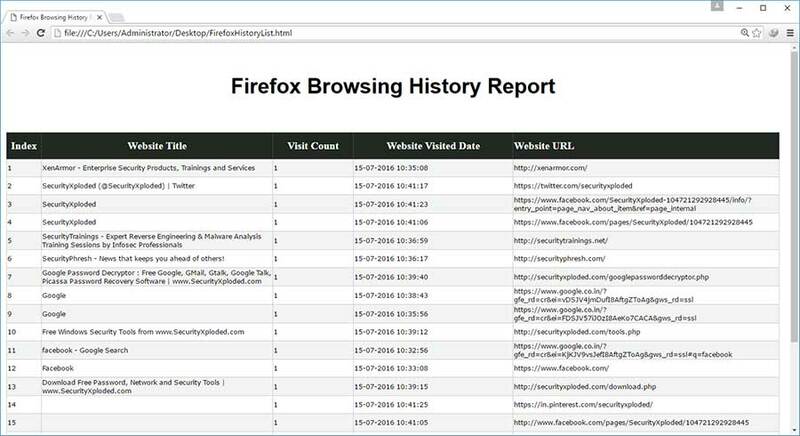 Firefox History Spy is designed to help users to protect their privacy and online security by viewing & removing the website data from Firefox History database.